Saroj is a Partner in the General Corporate Commercial Practice of R&T Asia (Thailand) Limited. 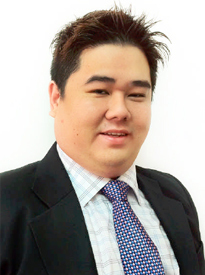 He graduated with a Bachelor of Law from Thammasat University in 1999, and is a licensed Thai lawyer. Prior to joining Rajah & Tann (Thailand) Limited, Saroj was a legal counsel (AVP) at a leading Thai consumer finance business, and before that he was in private practice at a local Thai law firm. Saroj has several years’ experience in advising on corporate, commercial and consumer finance matters (including personal loans, credit cards and insurance) and agreements relating to the consumer finance business. He also has represented several clients in civil and criminal litigation, both during his in-house tenure and in private practice. Acting as a legal counsel for a group of companies (consisting of 10 companies) representing the largest consumer finance business (including credit card and personal loans) in Thailand. Representing a credit card company to launch a co-branded credit card product with one of the largest life insurance companies in Thailand. Advising on structuring and planning marketing arrangements of a top tier personal loan business company in Thailand for compliance with Thai law. Advising on establishing an insurance broker website (including advice on offering various online insurance products and online premium payment). Advising on laws and regulations relating to the handling of customers’ data for compliance with relevant consumer protection regulations and OIC notifications. Conducting legal due diligence relating to mergers and acquisitions. Advising a Japanese e-commerce company in relation to the handling and using of its customer data under Thai law, including the revision of the terms and conditions of its website. Advising a Japanese company on the establishment of a company to provide a variety of telecommunications and internet service businesses in Thailand. Advising on corporate and organisational structures for a group of hotels & restaurant with 20 outlets in Bangkok, Pattaya, Ayudhya and Phuket. Liaising with various Thai administrative agencies, including the Ministry of Commerce, the Land Department, the Immigration Bureau, the Labour Department and the Revenue Department. Advising and representing clients on family law and succession matters (and subsequent litigation). Representing a developer in acquiring land in Samutsongkram Province from the leading oil manufacture company in Thailand. Representing several Thai businesses (for example, construction companies and hotels) in civil and criminal proceedings in a Thai court.